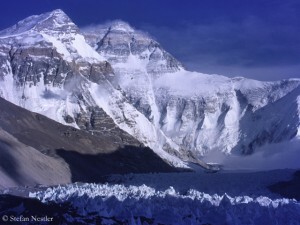 The Swiss operator Kari Kobler has abandoned the expeditions to the eight-thousanders Cho Oyu and Shishapangma that he had initially scheduled for next fall. Apart from the earthquake damage on the road to Tibet Kari tells me another reason for China not to issue permits: “The Chinese president will visit Tibet in the first two weeks of September.” 50 years ago, in September 1965, China had declared the previously occupied Tibet an “Autonomous Region”. The Chinese government will celebrate itself with some events in Tibet, probably with a large contingent of security forces to nip potential protests by Tibetans in the bud – especially when President Xi Jingping shows up in person. Foreign eyewitnesses have already been undesirable on similar occasions in the past. This is probably the main reason for giving no permits to expeditions next fall, as the example of International Mountain Guides (IMG) shows. 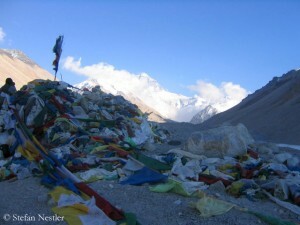 Due to the earthquake damage in Nepal, the US operator had planned to travel directly via the Tibetan capital Lhasa to Cho Oyu, but did not get a permit too, with reference to the jubilee events in Tibet. “Due to the current political fragility of Tibet we are unable to obtain guaranteed access for expeditions”, also the New Zealand operator Himalayan Experience informs. Himex has replaced the expedition to Cho Oyu by one to Manaslu in Nepal. 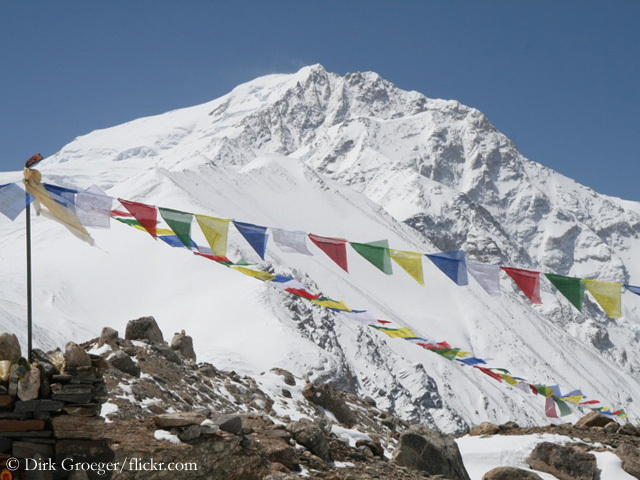 The eighth highest mountain in the world is a popular alternative destination in case that China is closing the borders to Tibet. 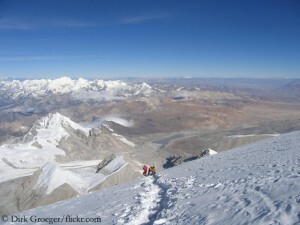 Already in fall 2012, many operators had offered expeditions to Manaslu instead of the cancelled one to the Tibetan eight-thousanders. The base camp at the foot of the “Mountain of the Spirit” might become crowded. 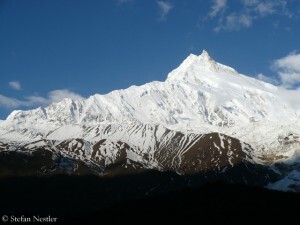 Teams of many western operators (including the German operator Amical alpin) will set off to Manaslu in the upcoming post-monsoon period. 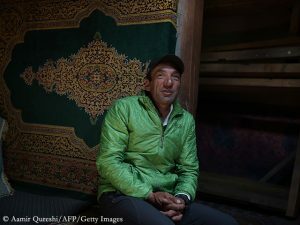 Despite the earthquake with nearly 9,000 registered deaths and more than 22,000 injured, the Nepalese authorities have no doubt to issue permits for eight-thousander expeditions.